Grove Lodge is marked on the map prior to the building of the Fitzwilliam Museum. 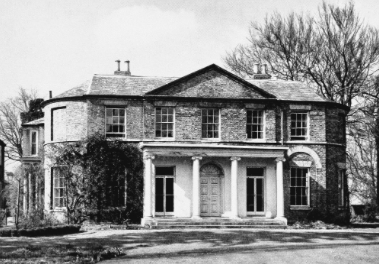 Grove Lodge was built in 1798 for Christopher Pemberton who took a 40-year building lease of the site from Peterhouse in 1795. According to Colvin’s Biographical Dictionary of British Architects 1600-1840, William Custance ‘probably designed and built villas named Pemberton’s Grove Lodge and The Grove’. 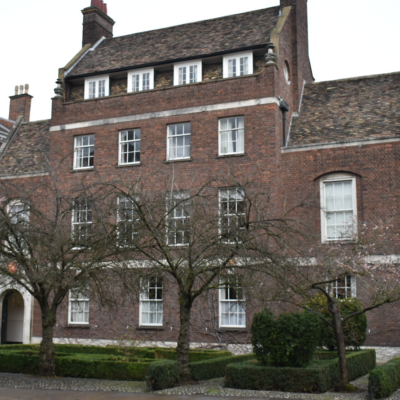 Custance was a builder and surveyor in Cambridge before moving to London where he also became a land agent. In 1798 he published a plan of Cambridge based on that of Loggan (1688) which he brought up to date. 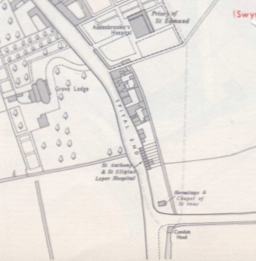 Grove Lodge is shown on this map, with a footprint equating to the present east block, in the centre of a large garden with a meandering drive leading to the east front and through to the service yard with detached outbuildings to the south and west. 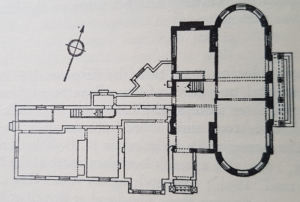 The floor plan of the villa consisted of a narrow central hall flanked by reception rooms with a staircase at the rear of the hall with two further rooms either side. 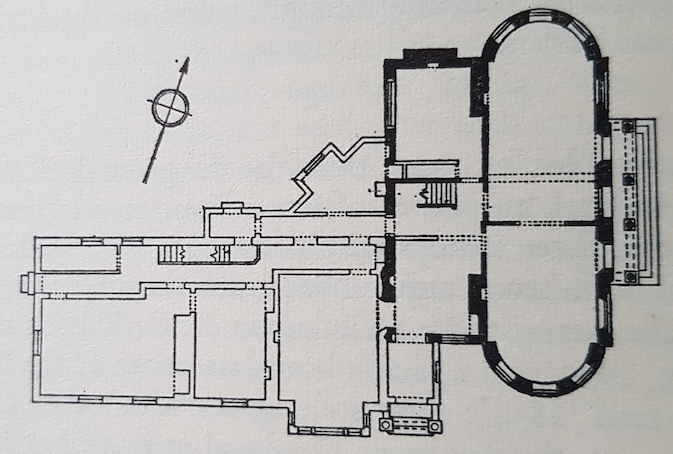 The apsidal bays were probably single-storey as a subtle change in the brickwork at first-floor level indicates that they may have been built up at a later date. A plan of 1828 shows that the drive was moved southwards and a stable yard was built to the west. 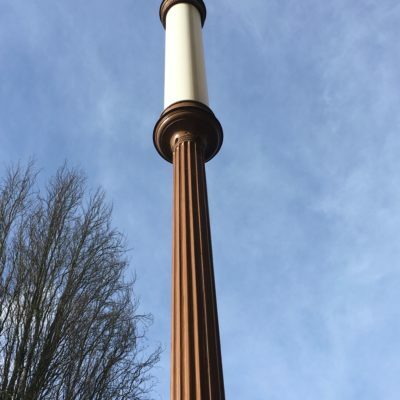 The outbuilding to the south is no longer depicted. By the next plan of 1840, the Lodge has a large, approximately square extension at the rear. 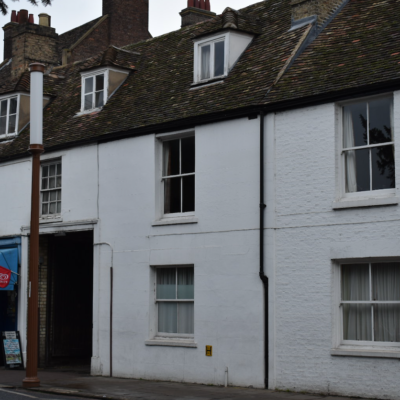 This is also shown on the 1852 plan which labels the outbuilding to the south-west (first depicted on the 1828 plan) as ‘offices’. 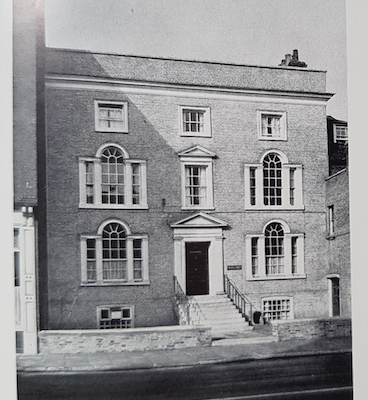 In 1875 Grove Lodge was again extended to the rear, almost doubling the size of the first extension. The entrance was moved from the east portico to the south side of the house. This involved creating a new entrance hall out of the south-west reception room, and slightly moving the position of the staircase which may have been replaced or remodelled. In 1914 Grove Lodge was acquired by the Fitzwilliam Museum (Grade I) from Peterhouse for £12,000. 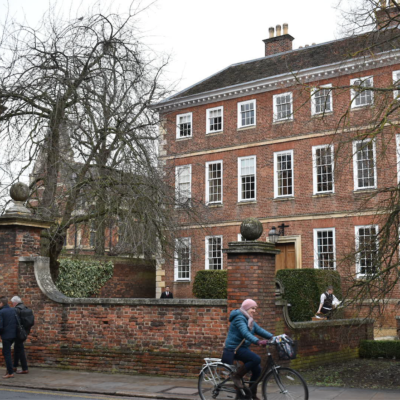 It was then occupied by a sitting tenant until the late 1930s and used by Cambridge University during World War Two. The Fitzwilliam Museum took over the building in about 1948 and since then the ground floor and outbuilding to the south-west has been used as offices and the first floor as a flat for the Director. The stable yard to the west was demolished in the early 1960s to make way for William Roberts’ extension to the Museum. In 1958 Roberts designed a curved corridor linking the Lodge to the Museum but this was replaced in 1975 as part of his 1970s extension.